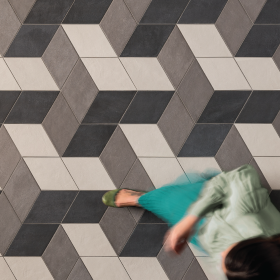 See what’s new for your renovation or general home improvement project. From kitchens, bathroom products, interiors, outdoor, energy saving products, handy accessories, fencing, fireplaces, flooring, windows and more! Where ceramic meets technology to give a shower fresh clean every time. 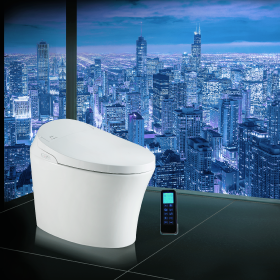 A toilet that washes, drys, warms the toilet seat, eliminates toilet odours, minimizes waste sticking to the bowl- all in a sleek minimalist modern design. drapeCo, formally Pret-a-Portiere, have introduced a new collection of decorative trims to add an extra touch of class and sophistication to your drapes. There are over 10 styles to choose from and complement most of their popular fabrics and colour ranges. 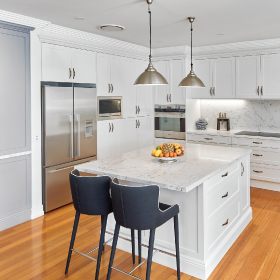 Nobby Kitchens has been supplying kitchens to the Australian market for over 80 years. They believe that no-one should pay more than they have to for a quality kitchen. Nobby is so confident in the quality of their products that they offer a 10-year written warranty on every kitchen. 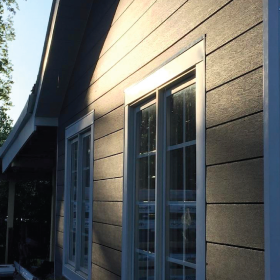 Rainscreen is a highly durable and stylish shiplap cladding system with no visible gaps thanks to hidden fasteners. Available in a contemporary range of colours Rainscreen will not fade, crack, peel or decay. 25 Year Stain and Fade Performance Warranty. Split level homes are the most elegant solution to building a home on a sloping block. The Riviera 1 262 is a new split level home, designed for an uphill sloping site with kitchen and entertaining areas on the mid-floor. The design features a front deck, home theatre, study, and four bedrooms. 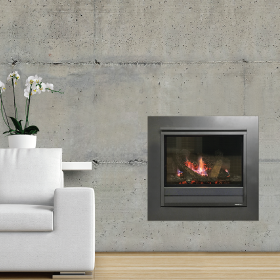 Modern Flames Spectrum Series Built-In Flush Mount Electric Fireplace brings the flame versatility and size options to the conventional electric fireplace. 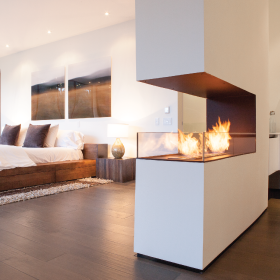 Modern Flames award winning flame appearance gets a tune up with 12 different flame colour combinations to choose from. Projecting onto our grey back screen, the colours shimmer through the ember bed and create crisp clean flames through the whole colour spectrum. Struman Optics proudly introduce their newest lens, the 1.8f 70mm Portrait lens. Wide apertures are key to portrait photography because they throw the background into a pleasing blur that helps draw the viewer's attention to the in-focus subject. On a smartphone camera, this is the ideal focal length for portraits. The new ALLDOCK HybridX dock is designed to offer you the most universal charging station that integrates the latest technologies. 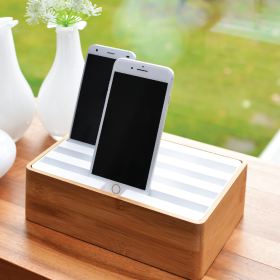 The ALLDOCK HybridX has an integrated Wireless Fast Charger. You now have the flexibility to combine both conventional docking and wireless to simplify the process of charging. 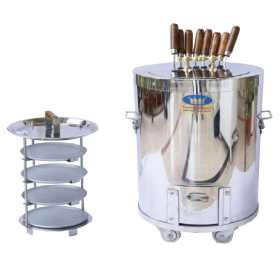 Tandoor King presents their own fabricated tandoor oven (pizza kit) for both models Gs-1 & Gs-2 with 3 stacks of anodised pizza plates. Chrome polished for rich look and rose wood handle for carrying pizza kit for heat protection. Unique in design for better cooking and an enjoyable experience in every slice. 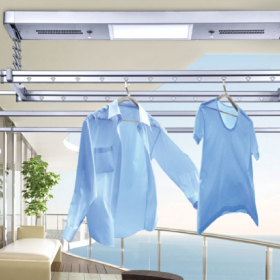 A slimline unit that is installed on the ceiling of your laundry, providing you with a space saving way of drying on those wet days. TopLine is suitable for all homes, from the smallest apartment that is unable to hang outside to the largest family home. Features include a load capacity of 35kg, UV lamp for sanitising, fan and heater and LED lighting. Featuring Heat & Glo's innovated balanced flue technology, this stunning new model combines the highly efficient output Heat & Glo is renown for along with a brand new high definition log set. A modern update for an industry leader. 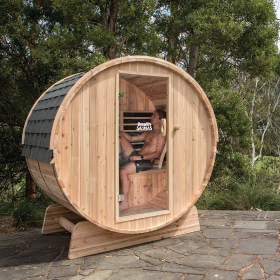 Infrared saunas are now seen as one of the most efficient ways to detox. As our cardio output increases, our body pushes oxygen rich blood into the joints and muscles; this is why iHealth clients report such great pain relief benefits. Take a look at this stunning timeless piece. 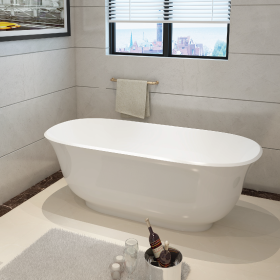 The Hampton 1680mm freestanding bath features the traditional Hampton¹s style design, you will be bathing in pure elegance. Made from Lucite sanitary-grade acrylic with a unique flair on both ends of the bath. Made with a special FlexTexture material, the Scrub Daddy alters its texture and function as you change the water temperature. 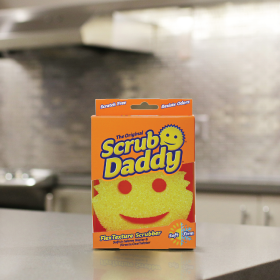 If you need to wipe down your kitchen counters, dip the Scrub Daddy in warm water and it will take on the form and feel of a traditional sponge. When dampened with cold water, the versatile sponge will firm up, making it easy to clean deeper stains without scuffing up your surfaces. 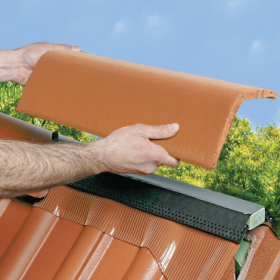 The RapidRidge Dry Fixed Roofing System, developed for Australia by Evo Building Products, is not only quicker and easier to install, but provides huge environmental benefits such as no maintenance and lower energy consumption when paired with the ventilation option. 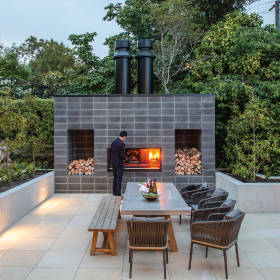 Providing endless design flexibility and installation freedom to interior designers, architects, builders, landscapers and homeowners, EcoSmart's Flex Fireplace Series ensures your next commercial project or residential renovation includes a captivating fire feature. 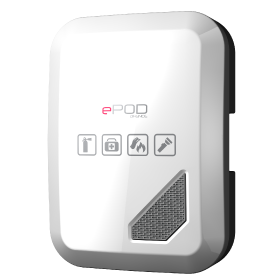 dFENCE ePOD is a global market first product, offering a contemporary and stylish Emergency POD for residential homes or apartments that can be simply mounted on the rear of a door, in a cupboard or under the kitchen sink, providing a single, easily accessible location for all your emergency needs. 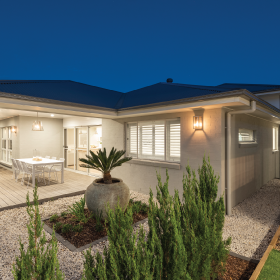 For several decades, Australian builders and consumers have had limited choice when it comes to eave lining solutions, with options generally limited to a high maintenance fibre-cement board. 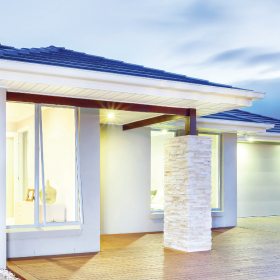 Easy Eaves offers a new low maintenance, environmentally sustainable eave solution using pre-painted aluminium sheets which saves the consumer time and money. 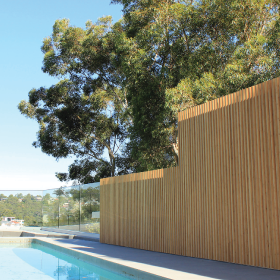 Now Decoview Pool Perf is available as plain transparent perforated panels. 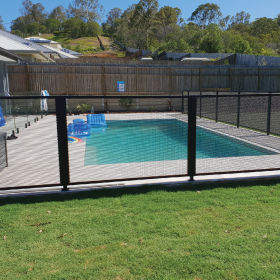 The new Pure Perf range is a fantastic maintenance free alternative to glass pool fencing. It lets welcome summer breezes through, can’t be smashed, is fully Council compliant and easy to install. 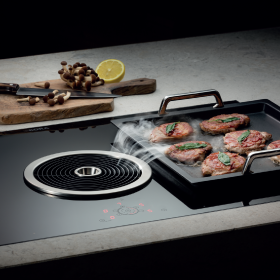 BORA are delighted to announce their latest cooking system ­ Professional Revolution 2.0. Besides its gorgeous design and uncompromising quality, BORA Professional 2.0 is their most innovative development so far. This results in maximum user-friendliness and excellent effectiveness while maintaining BORA core values, the best cooktop extractor fan on market. The Reyes 4800 series is the latest product off the shelves of Build Tiny. 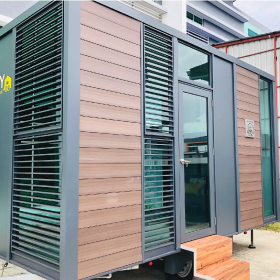 Designed to be easily set up in just under 2 hours, with just 3 people and simple power tools, it comes fully fitted with furniture (including a mechanical lift bed), shower and fully equipped kitchen. 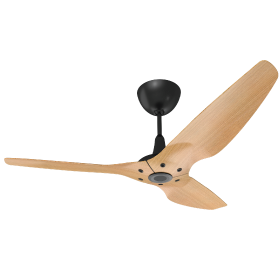 Transform outdoor spaces into breezy sanctuaries with Haiku Luxe Outdoor Series, the latest addition to Haiku¹s range of stylish, award-winning fans. 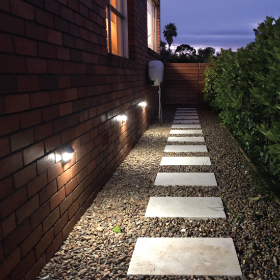 Luxe Outdoor delivers unmatched comfort to your deck, verandah or pergola, and is expertly crafted with stainless steel bearings and aircraft-grade aluminium to resist the elements. Finally, a compact innovative new countertop water system for home. 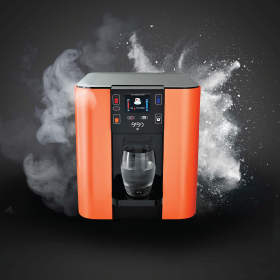 BIBO provides instant filtered hot and chilled water on demand in a choice of stylish colours . An affordable alternative to a Zip or Billi Tap, simple to install. See how BIBO compares and visit Stand F15 for special show offers. BOSBasic is competitively priced and offers a fee-free redraw facility with no application or monthly fees and other great features. 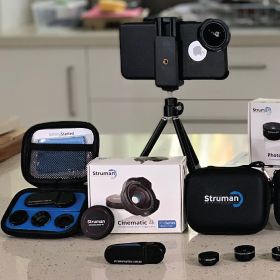 With a strong track record of award-winning products, consumers are becoming increasingly aware of Bank of Sydney¹s standing as a financial provider that delivers great value, quality service and competitive products. Above all, Bank of Sydney is committed to your home, your business and your future. Multisport artificial lawn from Australian Outdoor Living offers the perfect surface for anyone looking to get active in their backyard. 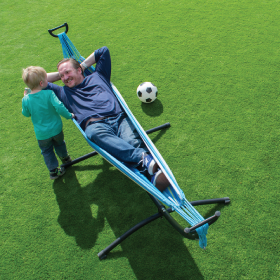 Its short pile height makes it great for backyard sports such as mini golf, backyard cricket, lawn bowls and any other activities that might require a flat surface. 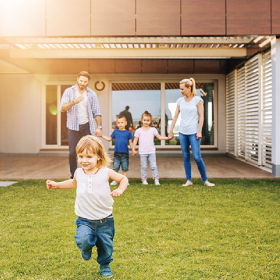 Planning rules for building one and two storey homes and home renovations in greenfield (new release areas) have been simplified making it easier, cheaper and faster for homeowners to get approval. These changes started on 6 July 2018. 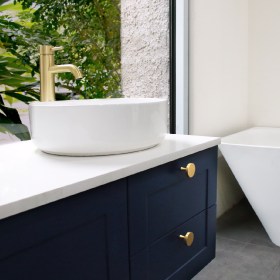 Oliver delivers luxury Hamptons styling to your bathroom with quality shaker style cabinetry, soft close doors and/or drawers and a range of customisable stone top and basin options. This elegant floating vanity can be styled in hundreds of different ways to deliver the perfect style and functionality solution for any bathroom. 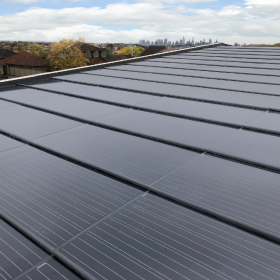 The newest and most advanced rooftop technology on the market, Tractile¹s complete roof solution integrates solar PV AND hot water into a sleek, slate-like, low profile design. 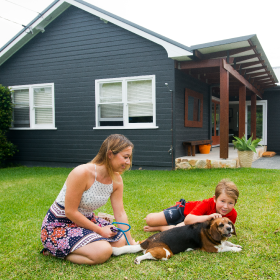 Cyclone, hail resistant and BAL-40 rated, Tractile¹s high-performance roof with street appeal protects your home from the harsh Australian elements. Designed to solve all these problems and more. You'll love how it's both practical and durable at the same time. It easily clips over your clothes at the waistline. 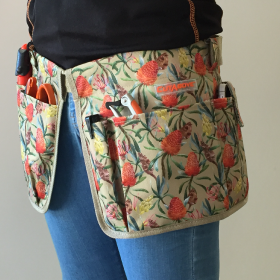 The strap is adjustable and will fit all sizes. Fits secateurs, mobile phone, saw, gloves, garden knife, pen and more. 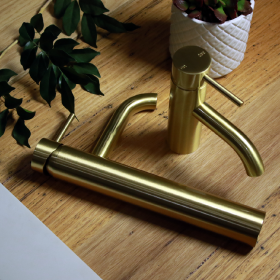 Following the current design trends that bring warmer, living materials to your bathroom space, brass tapware emphasises organic and natural elements in your bathroom like stone and timber. Brushed brass finishes keep their colour and lustre with little maintenance and can be a beautiful focal point in your bathroom. 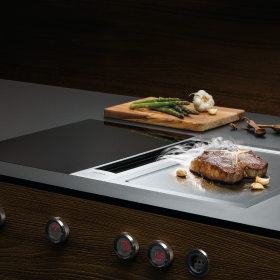 BORA is delighted to announce the latest BORA cooking system ­ Professional Revolution 2.0. Besides its gorgeous design and uncompromising quality, BORA Professional 2.0 is the most innovative development so far. This results in maximum user-friendliness and excellent effectiveness while maintaining BORA core values, the best cooktop extractor fan on market. The Gas Strut Window Awning Window is hinged at the top and pushes out supported by gas struts, all the way to 90 degrees. 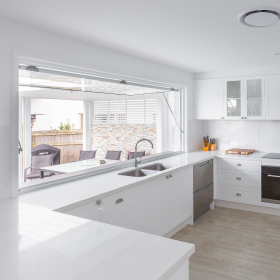 This provides unique option as a servery window. Also the opening panel only has the outside frame, this really maximises your view when it is in the open position. 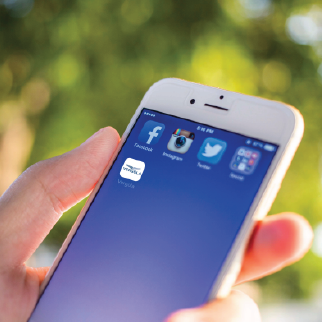 Now, Vergola NSW has joined the fold with the launch of its very own iphone app, designed to give you even greater control of your Vergola and outdoor living space. 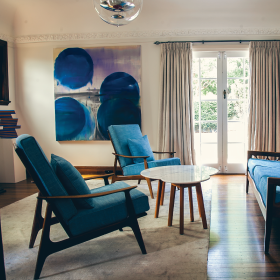 Using bluetooth technology the Vergola NSW app allows you to control the opening and closing of the louvres directly from your iphone and iPad in real-time. 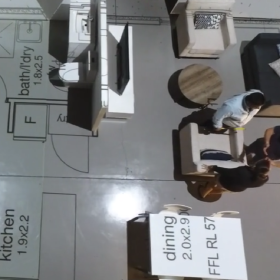 Walk through your house before it’s even built! Bring your architectural plans and future house to a real life size before you spend a cent on building your home. With the use of state of the art technology and tailored programs they are able to show your complete dwelling, including upper and lower floors, backyards, swimming pools and entertainment areas along with drive ways and parking spaces to a “true” scale. Carl Schmidt Sohn is a 189 years traditional German Brand for full-range quality kitchenware. Our top sale products in the market is Marburg non-stick cookware. Marburg non-stick stone coating. Suitable for electric, gas, ceramic, halogen and induction cooktops. 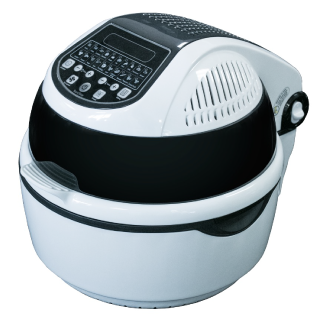 FRYAIR Air Fryer - the healthy, new way to enjoy all of your favourite foods! 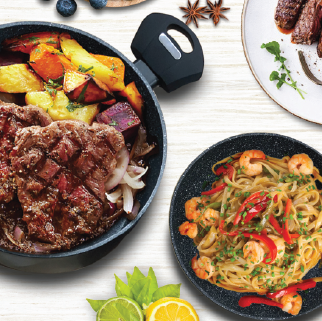 Roast chicken, pizza, french fries, steak, steamed vegetables and more....Cook all these delicious meals without the need to add oil. Cooking with the FRYAIR seals in the natural juices enabling you to make tasty air-fried food without the fat. Having problems using secateurs due to strength or arthritis issues? Take a look at these Ultralight CutAbove loppers, or secateurs on handles. 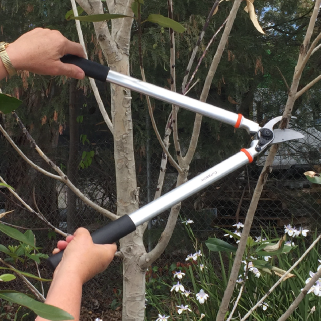 Use two hands to take the strain out of pruning. Only weighs 450gms but give a powerful cut.